I turned to my Reiki Master (we were co-teaching this particular class), and first listened to her answer. She explained that Reiki has evolved, as many things do over time, into people creating additional levels and styles of Reiki basically to generate more income. I nodded my head at this. In the past I have had people inquire about my training, asking the same things. Or if distance attunement is really possible, or why are the symbols that are supposed to be so sacred, splattered all across the internet? My viewpoint on the subject is very simple. I was trained in the traditional Usui method of Reiki. It is the original Reiki introduced to us by Mikao Usui (please reference my previous blog on Choosing your Reiki Master). I valued the methods in which my Reiki Master taught us – not in one day, but over a weekend of 24+ hours for each level, and I studied for my Masters with her for two years, not a weekend or a month and definitely not online. I’ve seen the varying “Levels” online as well, and I would agree, I think it’s a money grab. Because these teachers offer only one day’s worth of training, they have evolved the required levels into many more than necessary in order to fit in the attunements required and practical time (I would surmise). Let’s compare…. 10 levels at $100 (approx) per level is $1000. I teach both level I and II for under $600, and complete them in two weekends, spaced a minimum of 3 months apart. 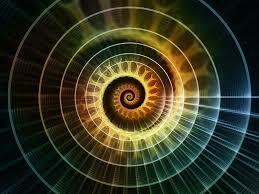 You receive all your attunements (6 in total between the two levels) and loads of practical time. Not only that; you are enrolled with other people who are working towards the same goal. Raising their vibrational frequency and learning about self awareness and selflessness. Reiki is about beginning another walk in life. It is about integrity, compassion, awareness, joy, love, and how to be in service just simply by being. There is a comradery and kinship built between people during a weekend Reiki class. The people in the class bond with one another and often stay in touch. How could this possibly be attained during one short class, or online for that matter? So to answer that particular student’s question, it’s about Integrity. What is being offered to you in exchange for your time and money? What values are being instilled? I’m happy so many people are looking for answers and turning to Reiki. I just wish more teachers out there would teach the way it was meant to be taught, and not sell themselves and the people who are keen to learn, short. Regarding the symbols, I think it’s a travesty these symbols are displayed the way they are. They were never meant to be shared with anyone who hadn’t achieved that level of training. Furthermore, one site I visited recently had one of the symbols backwards. I really just shake my head at this carelessness. Finally, I’ll mention something that needs to be clear. We are NOT healers. People who practice Reiki do not HEAL people. I see this online so much… “I am a powerful healer”. Oh my gosh, all you have is a large EGO. We are simply the channel for energy to flow through. The person receiving Reiki will initiate the healing themselves, as their bodies and spirits are meant to do. It has absolutely nothing to do with our “power”. That is such an ego based claim to make, which is completely contrary to the teachings of Reiki. To truly walk the path of Reiki is to acknowledge WE are ONE. No one person is better than another. We are not G-D. We must walk our path with humility and gratitude, compassion and awareness. 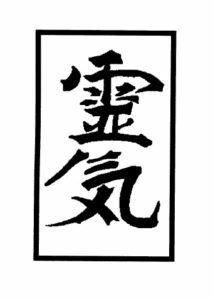 If you are teaching or learning Reiki, please guard and respect the integrity this ancient tradition offers us, as was Mikao Usui’s intention almost a century ago. You hit the nail on the head! Selecting your Reiki Master is such an intimate process that one cannot simply Google. It requires a respect for the craft, for the Master and mostly for themselves. Acquiring such a special gift in the “drive thru” of spirituality defeats the whole purpose behind the practice. Lightworkers have a vulnerability about them and if one wants to deepen their connection to the Divine, they MUST be particular on who they recruit to lead them on their journey. When you said “I see this online so much… “I am a powerful healer”. Oh my gosh, all you have is a large EGO.” you made me laugh! You’re so right! Ego has no place in Reiki. Makeshift Masters need to check their ego’s at the door! Thank you Silvia! I completely agree with your observations. Absolutely this is an intimate journey and I believe as well, not one taken lightly. Love the drive-thru comment, that’s exactly how I feel about the online courses.